and insightful character development. This book is excellent reading material for a high school history or social studies class covering The Civil War. Attention to detail begins in the foreword with descriptions of the types of men enlisted in the two armies. The differences between the two societies and their causes are immediately apparent, yet Shaara keeps the bonds between the two sides evident. The story starts with a spy tracking the Union Army as it moves northward. Subsequent chapters introduce different officers from both the Confederate and Union armies as the Civil War battle progresses chronologically. The Killer Angels includes helpful maps, and informed explanations are sprinkled throughout the narrative, but it is the men who steered the battle that truly explain Gettysburg. 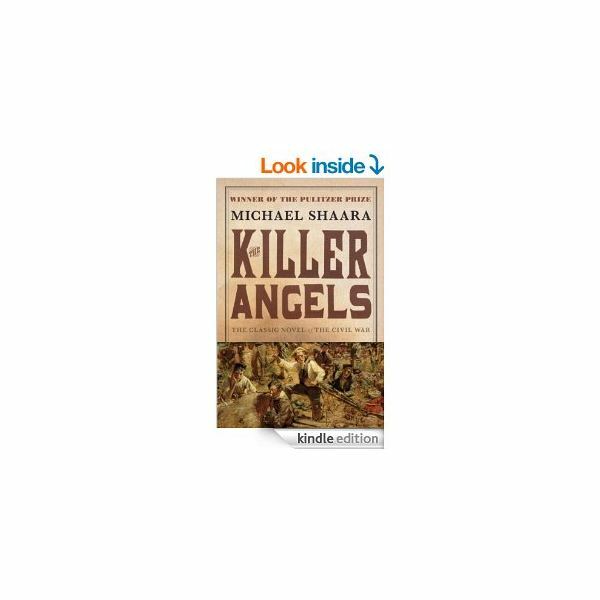 While Shaara notes that the personality traits he attributes to legendary historical figures are of his own creation, the intense research and subsequent historical accuracy of the story make the reader believe these men spoke and acted in the manner depicted by the author. It is this aspect of the book that makes it such an effective teaching tool. Readers are instantly drawn in to the personal journey each man is experiencing. Details of their lives, friendships, and battle experiences create real people whom, regardless of the love or hate inspired, the reader will want to follow. Battle plans and troop maneuvers are not tedious minutiae, but ideas grown from spirited conversation or reflection steeped in inner-turmoil. The book can be used with history lessons in various ways. It is an option for a book report or supplemental reading for the class. Assignments given could include comparing Shaara’s description of the battle with those of others based on content, style and accuracy. For example, “How does the author’s account compare with the brief description found on the Parks Service’s official site?" Students could be asked to comment on the effectiveness of using a historical novel as a learning tool opposed to textbooks and lectures. They could also compare the novel to the movie Gettysburg which is based on The Killer Angels. The Gettysburg Homepage on TeachWithMovies.org is an excellent resource for such a comparison. It provides a movie timeline, plot summary, homework assignments and links to informative sites on The Battle of Gettysburg. So toss the history textbook for a few days and bring the Civil War to life by adding this exceptional novel to your teaching arsenal.